Sharing your big day with your closest family and friends is a wonderful tradition. But in the age of social media your wedding may be making its debut for all (even the uninvited) to see. It may seem like the sharing by socially media savvy guests is out of your control but here are a few tips to make it your own. Facebook: Set up a Facebook Page for your wedding. Do this before you send out your ” save the dates”. Place your engagement photos here, create events, and update new wedding information through this page. Place the link on your “save the date” and invite them to like the page. Let them know if they have any questions or want to post something, to do it on this page. This will help to keep your personal page less cluttered and keep unwanted prying eyes out of your business. Many relatives want to see your updates about the wedding but you may not want to become friends with them on your personal page. This will keep everyone happy without you having to hurt anyone’s feelings. Facebook also has privacy settings that allow you to approve posts before anyone else can post to your page. This will come in handy when people get camera happy at the reception! Twitter: Twitter is easy, just set up a hashtag or even a full account on twitter and people can tweet the night away! 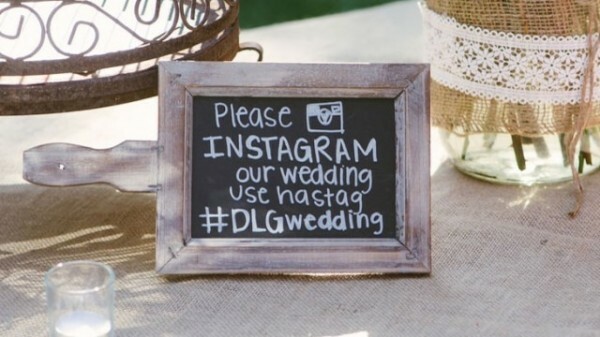 Display the twitter handle or hashtag at your wedding so guests know what to use. Instagram: Instagram is like twitter. Set up a unique hashtag, preferably the same one you are using on twitter to allow people to share their favorite photos. With all of the fun filters Instagram offers a way for your guests to play photographer for the night! And it sure beats those outdated disposable cameras. Keep it simple! Don’t over complicate the hashtags. And use the same ones for all social media. Check your hashtags before you set them up! Many people have the same name. If you want the hashtag #mikeandsarahswedding, search to see if it has already been used. If it is taken, use last names or initials to differentiate yourself. You don’t want to check your photos the next morning and see someone else’s wedding. If you are not social media friendly and would like your guests to refrain from posting pictures and videos just ask politely. Instead of a sign with your hashtags have a sign that reads “we ask that you please respect our privacy and refrain from posting our photos and videos on social media”. Your guests know you and they will respect your privacy if they truly care about you. 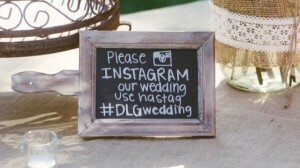 Lastly, have fun and allow your guests to have fun with social media too! When all is said and done you will be thrilled to have the extra photos. You can print them and make a collage or turn the photos into books for your family and friends. You can also direct people who couldn’t make it to your sites to take a look at what they missed out on. Signature cocktails are all the rage this wedding season. 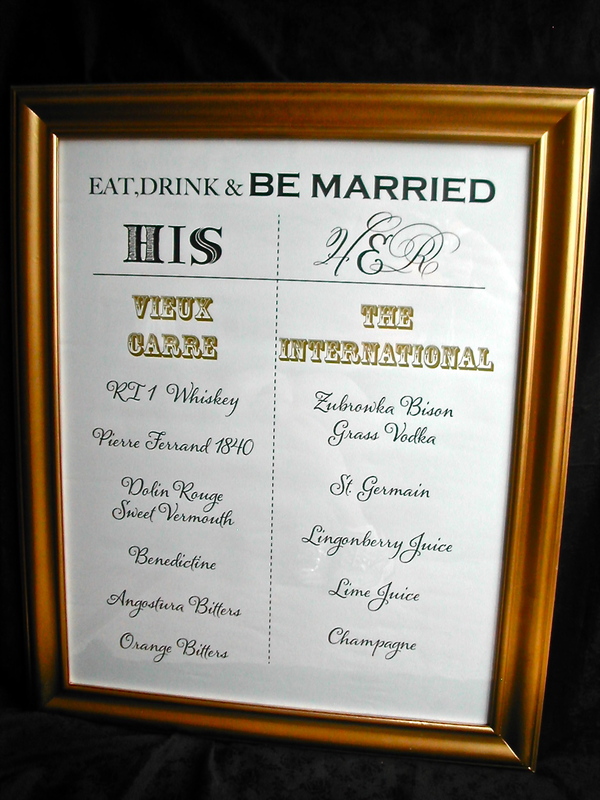 Food and drinks are usually pretty generic at weddings, with a signature cocktail you can add your own personal touch to the menu. 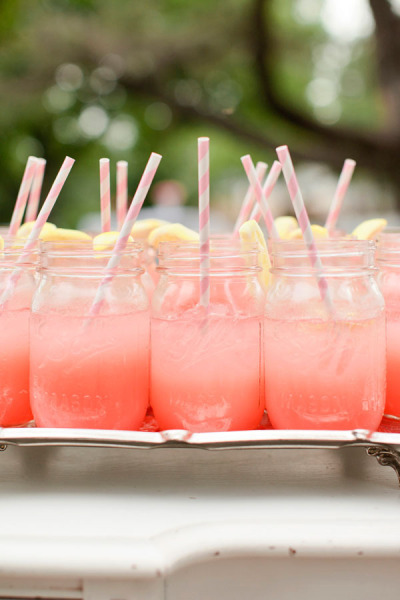 There are several ways to create a one of a kind drink just for your wedding! I recently attended a country themed wedding. The reception was beautiful with lots of homemade touches. The couple was on a budget and couldn’t treat their guests to an open bar, but didn’t want to leave out guests that couldn’t afford a pricey drink. So instead they created their own signature cocktail. Guests could freely grab as many cups of the cocktail as they wanted without a price tag. They stayed within their budget and their guests loved the drink and the gift. The couple also turned their signature cocktail into a party favor by allowing guests to keep the decorated mason jar! Many couples don’t necessarily agree when it comes to alcohol. Guys generally like hard liquor or beer, where as women tend to like martini’s or fruity drinks. If you and your other half can’t quite agree on one signature cocktail then do two! Two is always better than one right!? You can have generic names like below or create your own cocktail names using your theme or first or last names. Be creative with the flavors! Incorporate your favorite alcohols and mixers to create a one of a kind libation. Ask your friends and family what kind of cocktail they think you are, it’s a fun jumping off point that can be done as a game at a wedding shower or bachelor party. 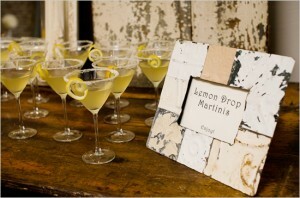 Match your drink to the theme and colors of your wedding! Tying all of your wedding theme together right down to the food and drinks can really get your guests in the mood for a party. A formal night wedding might call for creative champagne or wine spritzer, where as tropical drinks might be perfect for a beach wedding. You can match your colors too! Green and white, maybe a mojito! Black and red, create a signature Cosmopolitan. The possibilities are endless. Whatever signature drink you come up with keep a few things in mind. Keep it simple! If you get overly creative there is a chance your guests might not like it. Check with friends, family, and caterers to help you decide! It doesn’t have to be a big secret. Have your cocktail be the star of the bar. Jazz up the glassware or use berries, fruit slices, grated chocolate, or sprigs of herbs to set it apart and highlight with a pin spot light. 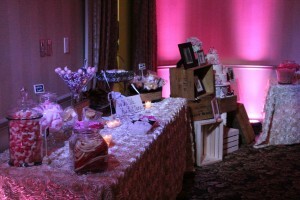 I got to work with my favorite wedding planner, Deanna Tat with Chic Ambiance Events for an amazing couple. 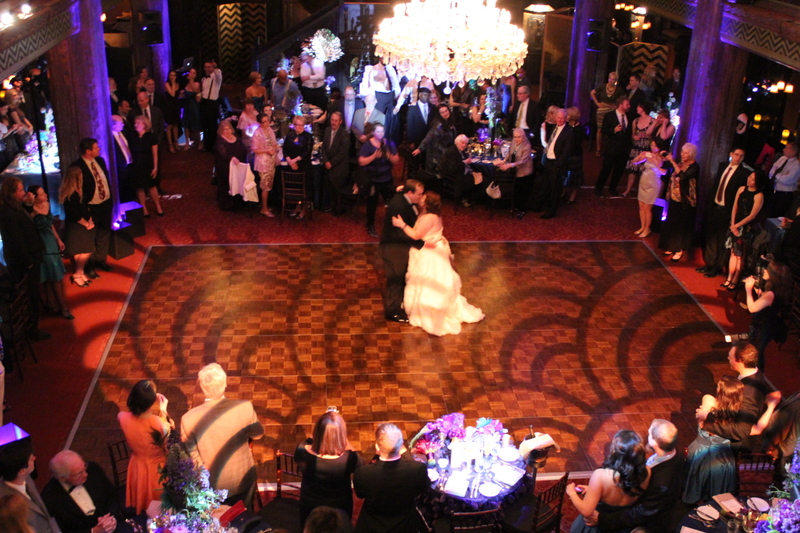 Andre & Naomi had a vision for an amazing wedding to keep their guests entertained all night until 2 in the morning! There was dancing in the main ballroom with dinner and toasts like most weddings. Cake was outside under the stars with a special photo slideshow and toasts by the couple. 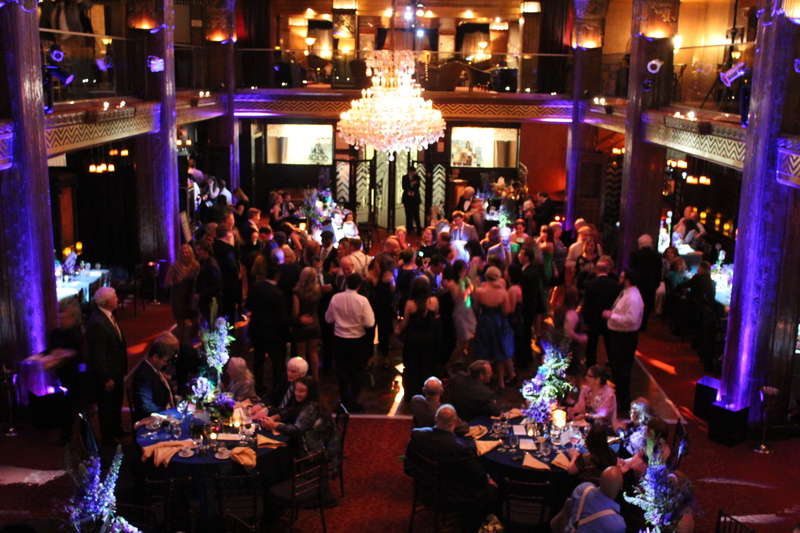 A special surprise for all guests who thought the night was wrapping up was the after hours club style dance party in the other ball room. Check out this video made by Charles Lauren Films. The wedding of Jeanette & Michael was full of beauty, emotion and a lot of fun! 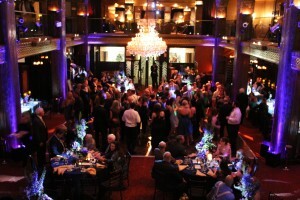 I was referred by Ida Gardner Events and right from the beginning we hit it off and I knew it would be a great match for entertainment! 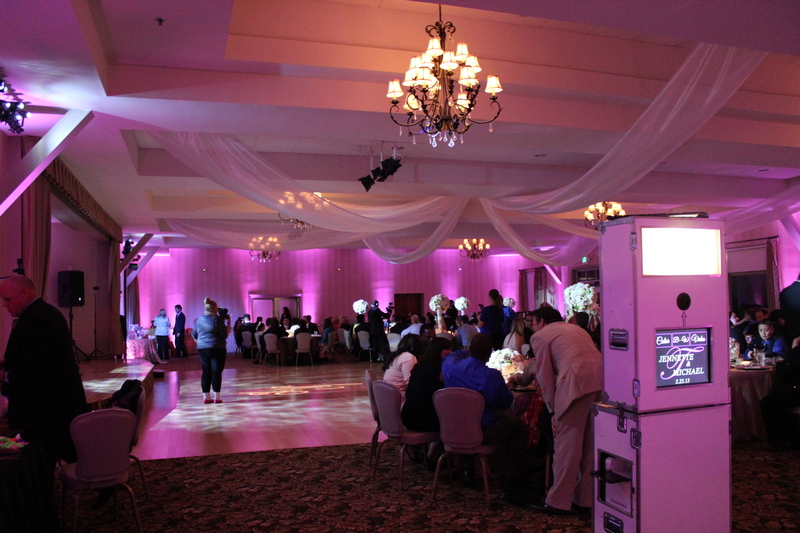 NTR was honored to provide entertainment, up lighting, pin spotting, and photo booth services to add to their special day. 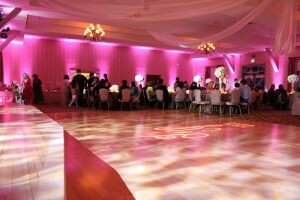 Beautiful centerpieces were all lit using LED Pin Spots to make them really pop all night long! Rachel Robena Photography was a pleasure to work with again to capture all of the magic moments. Emad Asfoury with LA Color Studio was capturing video of the good times had by all. Old fashioned wedding guest books are a thing of the past. Traditional guest books with signatures and a few well wishes sit on a shelf and end up collecting dust. Do you know ANYONE who even looks at it again after the wedding? It’s time to step into the 21st century, break the mold, and create something you will truly enjoy! Here are a few of our favs that are not only fun but easy! This is a super easy way to get your guests to create a work of art for you. Buy a blank canvas, draw (or get someone to draw) a tree with just the branches then set it on a table with ink pads, pens and baby wipes. 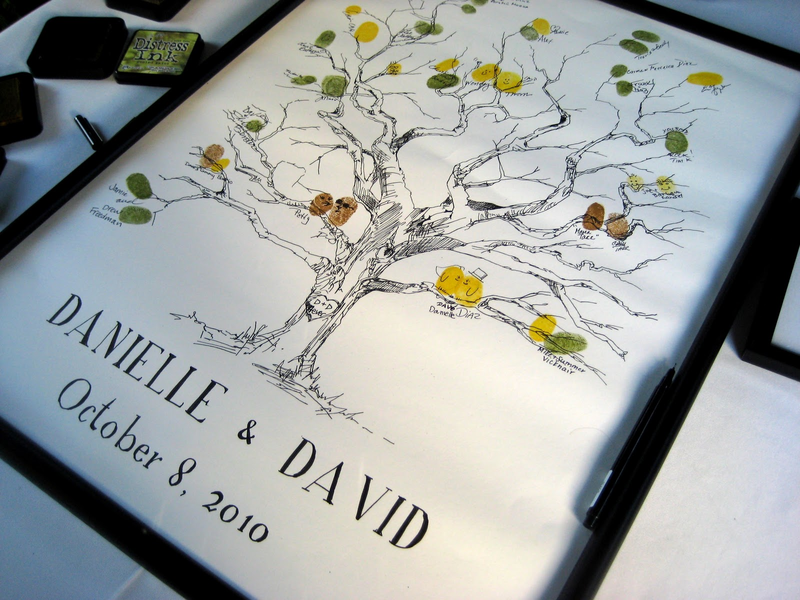 You guests will stamp their thumbprint on a branch and sign their name. Voila! An amazing work of art to hang in your home! Hints: Use a few different shades of the color you choose for the ink, to give it depth. Sharpie fine point pens work best for signing. You can also paint anything you like, flowers, butterflies, balloons, get creative! The point is to hang it in your home so make sure you like what is on it! For the garden lover river rocks may be the way to go. Use them to line a garden pathway, or put them in a bowl as a centerpiece. We love the simplicity and the sentiment behind this great idea! Gather up (or buy) smooth flat river rocks and set them on a table with those fine point Sharpie pens. 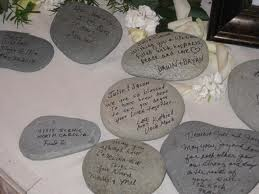 Have your friends and family write messages directly on the rock. After your wedding take each rock and spray it with an acrylic gloss to help keep them new for years to come! Hints: Take your hubby-to-be and hunt for rocks together! A great way to get the guys involved and it makes for a fun day at the beach. Paint them with acrylic paint first if you want to keep with your color scheme. 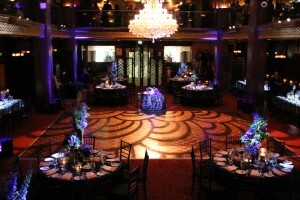 A Night To Remember DJs has just launched a new website with more tools for our clients. 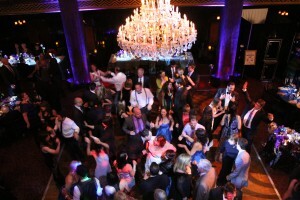 Custom build your events playlist online and make sure the DJ has all of the music you want. 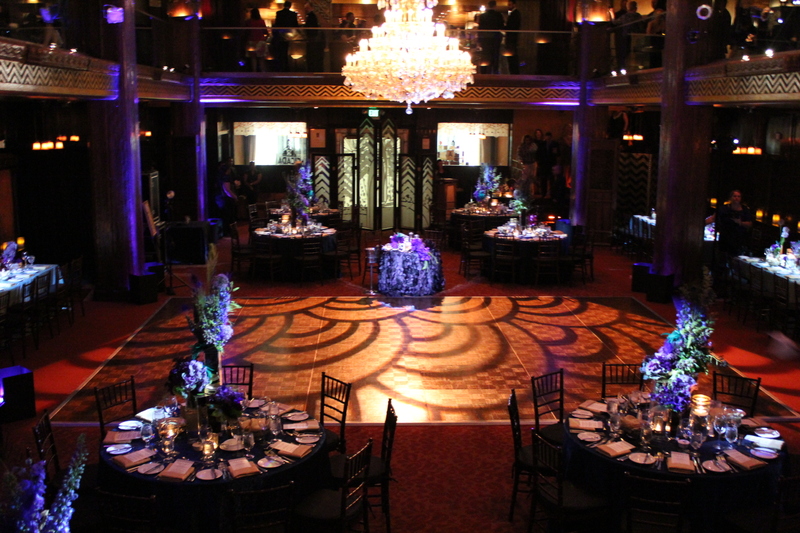 We have event planning tools to make sure your event goes the way you want it! 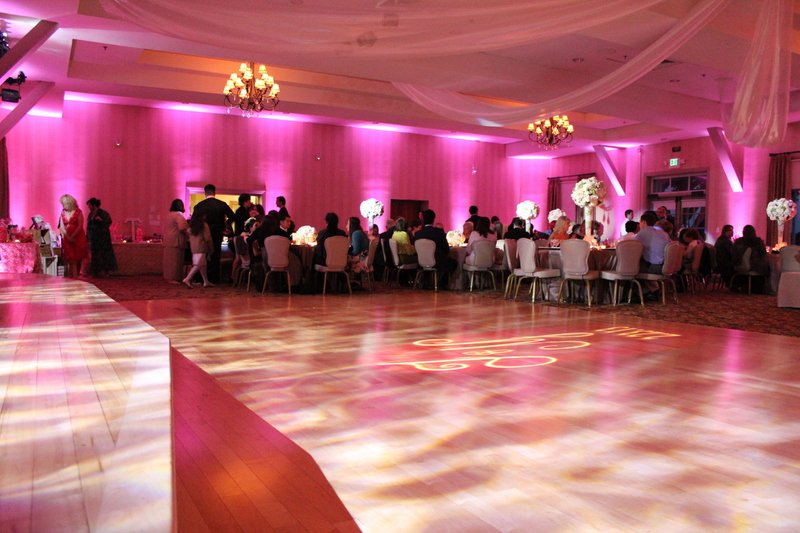 NTR is an up scale event production company that offers DJs, MCs, Lighting, Videography, Photography, Party Rentals, and much more. We take pride in meeting each one of our clients specific needs and offer complimentary meetings before booking. 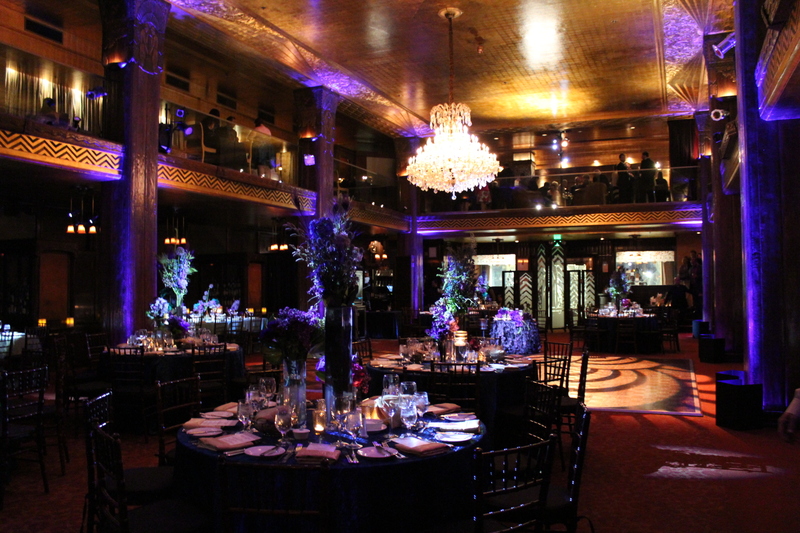 Call Aaron at 310-833-3091, Email or fill the Contact Form to discuss your event and check our availability.